Sand Hill Review Press, 9781937818937, 356pp. In 1915 while the First World War raged on in Europe, Americans, and especially New Yorkers, faced their own "silent war" at home. Disgruntled with America's so-called promise of "neutrality" and overt trade deals with England and France, the German government set up a spy ring headquartered in Manhattan. Their espionage and terrorist networks had tentacles reaching all the way to the German Ambassador in Washington D.C. German operatives planted explosives on American and British cargo ships en route from New York to England, France, and Russia. They plotted to blow up trains, bridges, factories, and even the U.S. Capitol Building. Josette Rogers is the daughter of a rich businessman who must move his family to London when he inherits his uncle's import/export business. Curtis Carlson is a rising star at the House of Morgan on Wall Street. They each have very different opinions about whether or not America should enter the war. Curtis and Mr. Van Camp, a senior partner at Morgan's Manhattan offices, are sent to England to have $500 million loan documents signed that will help finance the nearly bankrupt British and French governments. 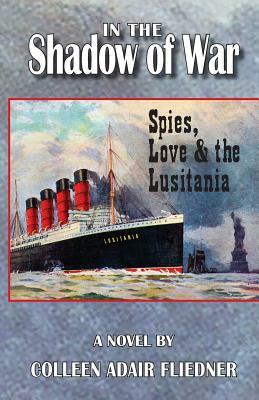 Josette and Curtis are both traveling to England on the RMS Lusitania when Josette suspects there is a spy ring on board. Were they sent to divulge the location of the Lusitania?